M.P.E.C. 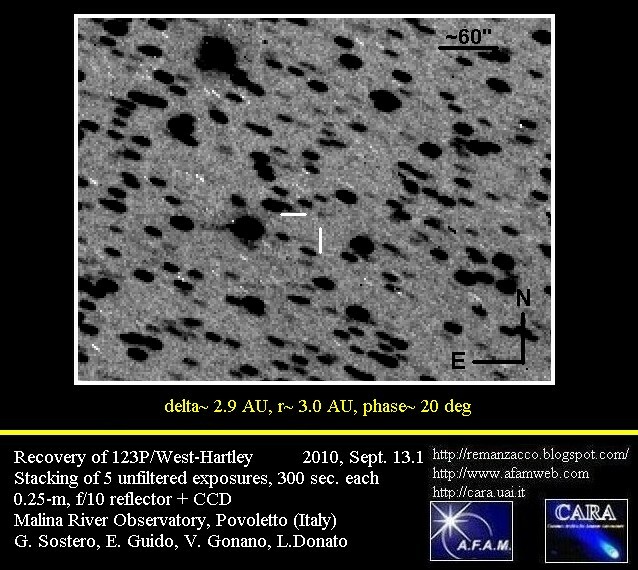 2013-O29, issued on 2013 July 20, reports the recovery of the Apollo asteroid 2003 DZ15 (magnitude 18) by F51 Pan-STARRS 1, Haleakala, on images taken on July 19.4 with a 1.8-m Ritchey-Chretien + CCD. 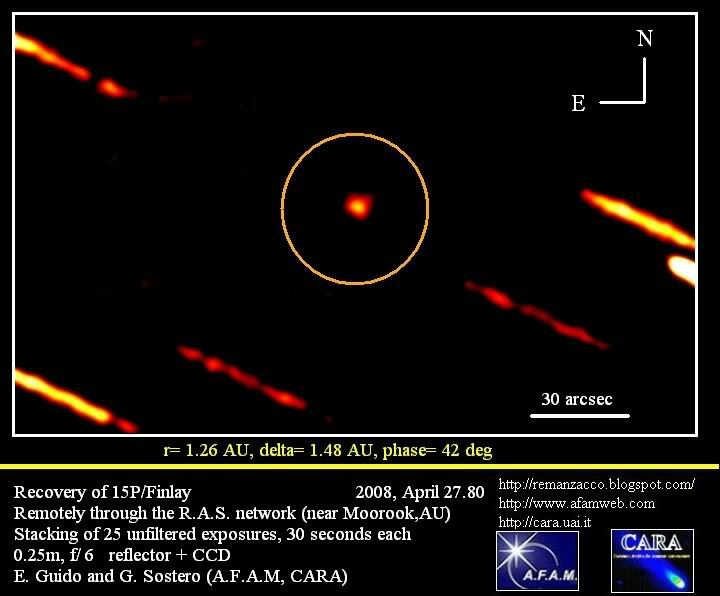 2003 DZ15 was discovered on February 2003 by 608 Haleakala-NEAT/MSSS and it has an estimated size of 95 m - 210 m (based on the object's absolute magnitude H=22.2) and it will have a close approach with Earth at about 9.1 LD (Lunar Distances = ~384,000 kilometers) or 0.0233 AU (1 AU = ~150 million kilometers) at 0037 UT on 2013 July 30. 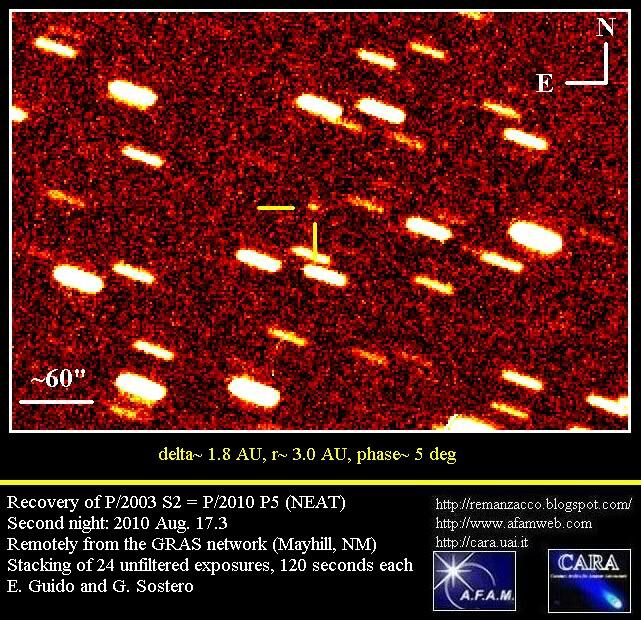 This asteroid will reach the peak magnitude ~16.5 on 29 and 30 July 2013. This is its closest approach to the Earth for this century, although it will make a pass nearly as close to the Earth in 2057 on February 12th. We performed some follow-up measurements of this object, from the Q62 ITelescope network (Siding Spring, AU) on 2013, July 28.6, through a 0.50-m f/6.8 astrograph + CCD + focal reducer. Below you can see our image, single 120-second exposure, taken with the asteroid at magnitude ~16.6 and moving at ~40.80 "/min. At the moment of the close approach 2003 DZ15 will move at ~52 "/min. 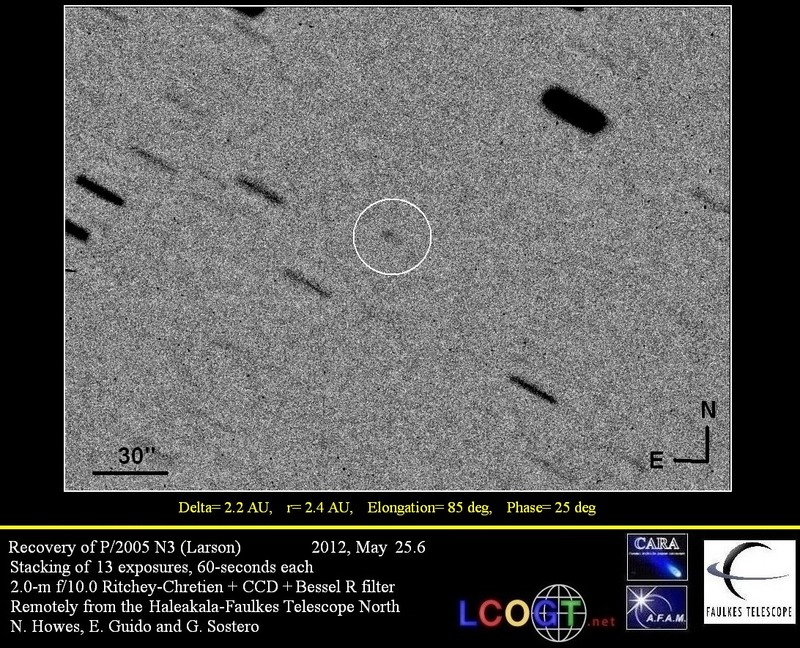 Click on the image below to see a bigger version (the asteroid is trailed in the image due to its fast speed). 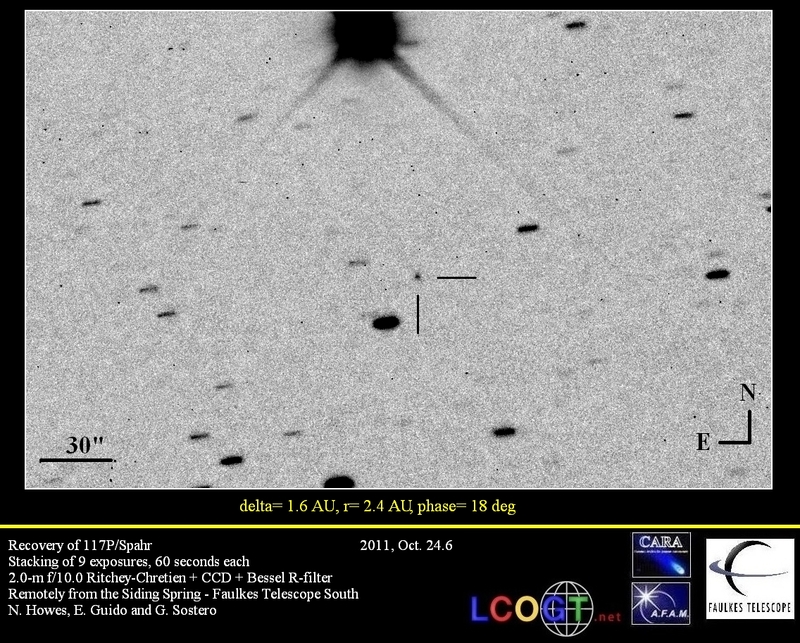 Following the posting on the Central Bureau's Transient Object Confirmation Page about a possible Supernova in M74 (TOCP Designation: PSN J01364816+1545310) we performed some follow-up of this object remotely through a 0.43-m f/6.8 astrograph + CCD of iTelescope network (MPC Code Q62 - Siding Spring, AU). 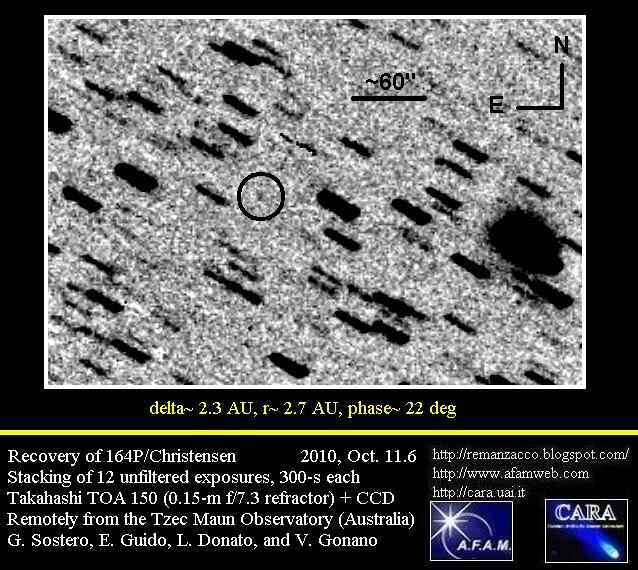 According to CBET 3606 this transient has been discovered by LOSS supernova survey on unfiltered KAIT images obtained on July 25.45. 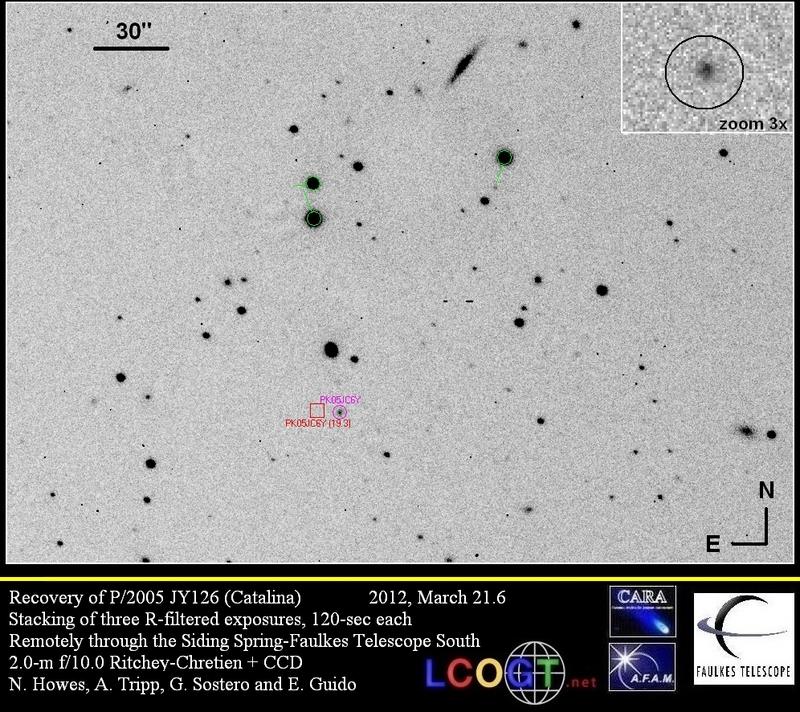 This young type II supernova has been officially designated 2013ej. This is the third supernova in M74 over the last eleven years (previous SN were: SN 2002ap and SN 2003gd). The Herschel Space Observatory was a European Space Agency-built and -operated space observatory, active from 2009 to 2013. It was studying the Universe by the light of the far-infrared and submillimeter portions of the spectrum revealing new information about the earliest, most distant stars and galaxies, as well as those closer to home in space and time. 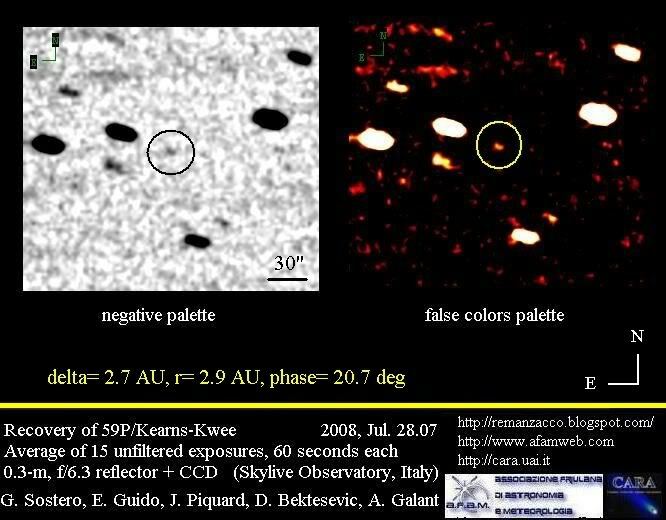 It has also taken a unique look at our own solar system. Herschel Space Observatory was the largest infrared telescope ever launched, carrying a single 3.5-metre mirror. In the afternoon of April 29, 2013 Herschel ran out of liquid helium. To declare end-of-helium (EoHe) a number of key temperature sensor upper limits had been defined, and with two of them attained, EoHe had formally been reached. Herschel has made over 35000 scientific observations, amassing more than 25000 hours of science data from about 600 observing programmes. Finally on June 17, 2013, engineers for the Herschel space telescope sent final commands to put the decommissioned observatory from its orbit around the L2 point 1.5 million kilometres from the Earth into its “graveyard” heliocentric parking orbit. Last week we decide to follow-up the "Herschel Space Observatory" in his new orbit using the Faulkes Telescopes (2.0-m f/10.0 Ritchey-Chretien + CCD - operated by Las Cumbres Observatory Global Telescope Network). In fact, determining an accurate orbit now is important, because its increasing distance will make it fainter and much harder to keep track of in the intervening years. "The observation was a particular challenge as the final manoeuvres made by the ESA flight control team resulted in the observatory being at a slightly different position on the sky compared to that predicted by existing orbital data". We successfully imaged the Herschel on 26 & 27 June 2013 with Faulkes Telescope North and again on 01 July 2013 with the Faulkes Telescope South at magnitude ~20. 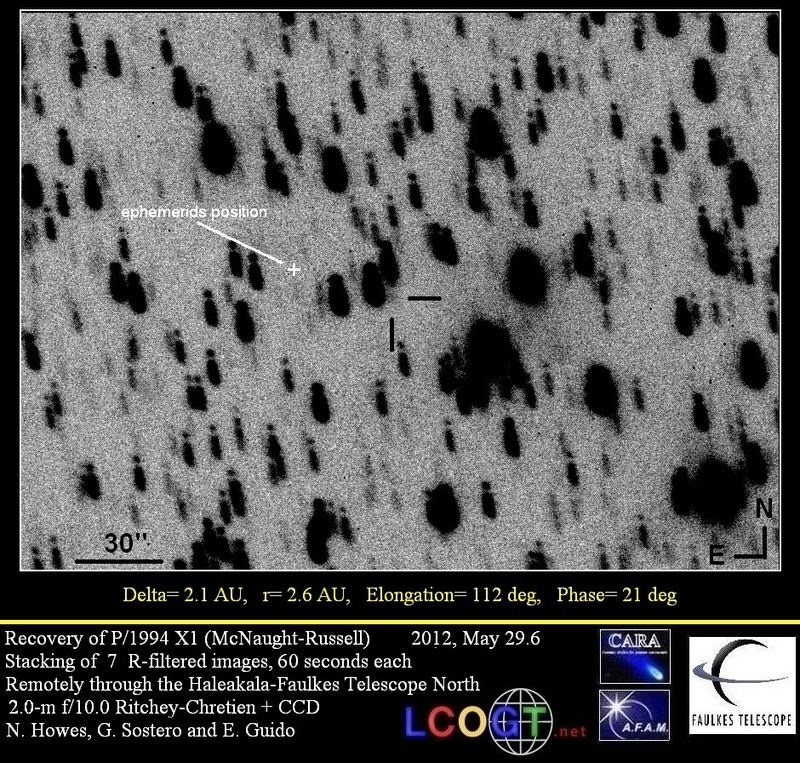 (follow-up observations have been obtained by T. Vorobjov on June 28, 2013 at Kitt Peak - MPC code 695). It was already a couple of arcminutes off prediction. 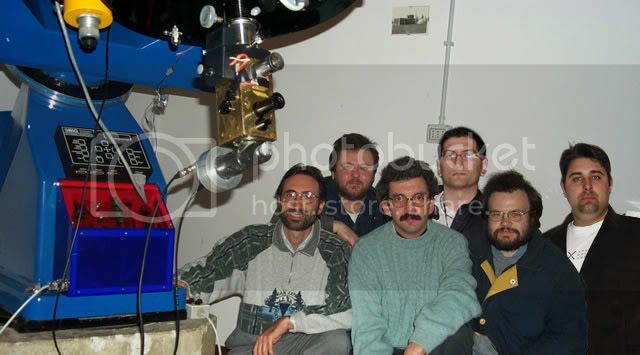 See our image below, stacking of 7x120 seconds exposures (click on it for a bigger version). Below you can see a short animation showing the movement of the Herschel Space Observatory during our first observing session of June 26, 2013. Click on the thumbnail for a bigger version. 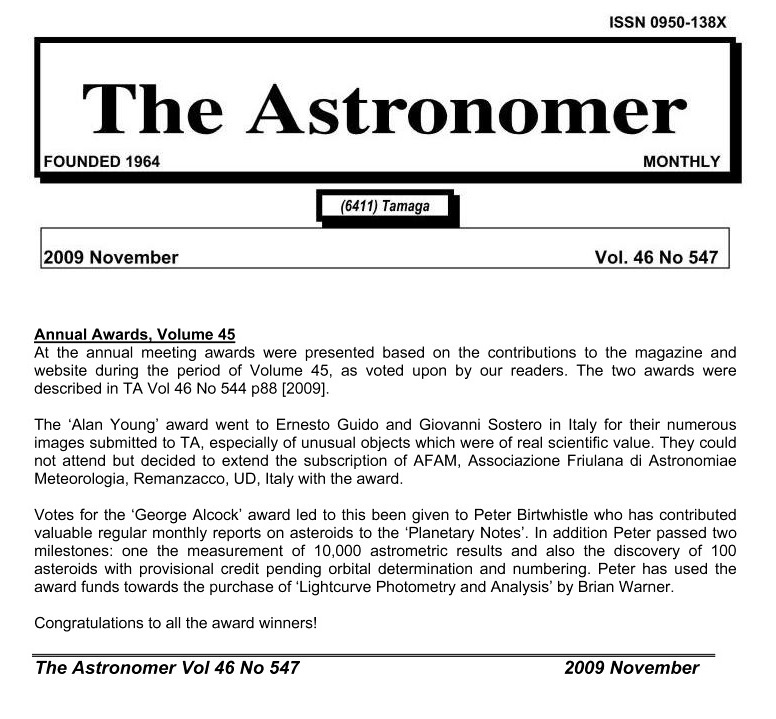 Using our data, Bill Gray calculated for Herschel a return to opposition on 2027 Oct 24 +/- 4 at about 0.055 AU, reaching mag 22. Below you can see the new orbit (click on the image for a bigger version).